In the late 1960's and early 70's while attending college, I started reading "True Treasure" magazine, and became aware of the "new" hobby of metal detecting. People were buying metal detectors and using them to find coins, gold, silver, as a hobby. This was truly interesting to me, and I devoured the magazines, reading each article, and all the advertisements with care. As a married college student, I sure couldn't afford a metal detector, but the idea was planted. After graduating from school in May of 1971, I began working a full time job, payed off my student loan in a matter of weeks, and was waiting to be drafted into the army (the Viet Nam war was still in progress). I had the money then, and went to the only detector shop in the area, and plopped down $150 cash on a used Whites BFO (beat frequency occillator) detector. It had a blue box case, a speaker, a headphone outlet, with a gold anodized shaft, a metal tubular handle, a radio turner knob marked "mineral-metal" and a red 6" coil. No meter, non-discriminationg. It was used, but still it was a thing of beauty to me! Even with no instruction book, the put-put-put type motor boat sound of the BFO detector was easy to use. In a matter of hours, I felt comfortable with the new detector, and was bench testing it for coins. My wife and I lived in a small apartment on the west side of Fort Worth, and after work some days, I could drive about 8 blocks to a small tree shaded vacant lot across the street from an old school to detect. The lot showed evidence of lots of play by school age kids, and the aging hackberry trees gave evidence of the age of the area. In no time, I was digging pennies. I learned by trial and error, to pinpoint coins by crossing the ground one way, listening for the loudest sound, and making a mental line on the ground in one direction. Then I would step to the side, make a 90 degree cross with the coil, and make a second imaginary line at 90 degrees to the first line. Where the lines crossed, the coin would be directly under the cross. Mostly, I found pennies, lots of wheat pennies. Sometimes I found trash, not much, but some. Pennies, lots of pennies! 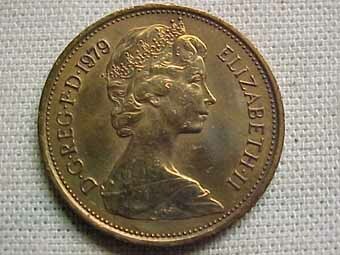 The best one I found was a 1922 no D penny, which was later traded to a coin dealer for a commerative half dollar. By October of '71, my draft notice came, and after reporting for duty in November I was off for basic training. Later when my assignment orders came, I was sent to an army post in Virginia, near the Pentagon. I was allowed to live off-post, and so took my metal detector with me to Virginia. Dumb luck but good decision. My wife and I moved into one of the few apartments available in Alexandria, VA, it happened to be directly across the street from an elementary school. One weekend, I walked the detector over to the playground, and began coin shooting. Coins, pennies mostly again. Still the old Whites BFO detector was working great. Then one afternoon, I dug up, a large white bullet, almost a half inch across. I was amazed, that I had found a civil war minie ball, on an elementary school ground. So I decided to do some reading and research on the area. I was amazed to find that there had been a string of forts around Washington D.C. during the civil war, manned by Union troops. Picket lines had connected the forts. Evidently, the entire area had been a marshalling area for Union troops, and civil war artifacts were likely to be found almost anywhere in the area. Days and weeks of detecting the same school grounds, produced a few more Minie balls, and even a couple of round musket balls. Also in the mix were a small gold ring, and a gold collar button, and a civil war uniform button. Later I moved my detecting to a different school, and there, found a 1901 Barber quarter, and found 105 minie balls in one afternoon on a hillside. Also found were a brass insignia "A" that was worn on a civil war kepi hat. Returning to Texas after my military service, with my wife & new baby daughter, I didn't have time to detect as much. Work and family responsibility won out. Then my health became a factor, and I need some activity to relax. 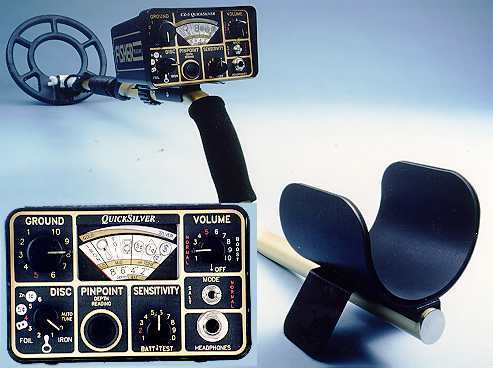 On September 11, 1976, I decided to buy a newer detector, and again purchased a Whites metal detector, this one a "TR" Coinmaster IV, transmitter-reciever". The price was a whopping $265.07, including headphones. It was a discriminator, and had a larger 8" coil. It still was in the familiar large blue box, but had a black plastic comfortable handle, simple controls, and was easy to use. My first day, I took it to an old building in Handley, and found a masonic penny from the Handley Chapter of the Masonic Lodge, and a silver ID disk. The sound the Coinmaster IV made, was more of a constant hum, rising and falling with the proximity of metal, the BFO put-put-put sound, was now kaput. I knew of a place in the downtown Fort Worth area, that had been an old hotel. Now it was a vacant lot, but the old foundations were still there, and it was a place now frequented by hobos and covered with blowing trash and wine bottles. Still I thought it worth a look. 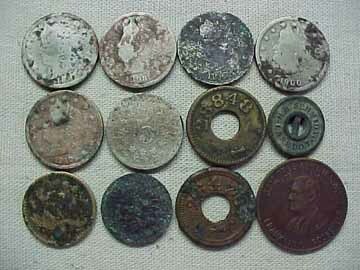 My first trip to this site, was on 25 September 1976, during two days of detecting there, I found: 1867 shield nickel, 1895 Barber dime, 1897 V nickel, 1898 V nickel, 1900 V nickel, 1903 Barber quarter, 1907-S Barber quarter, 1912-D V nickel, an early Lincoln cent, date unreadable, a 1936-D buffalo nickel, a brass numbered amusement token (28470), and an aluminum token 34 mm diameter that was so corroided it couldn't be read. 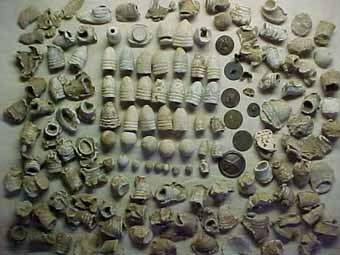 The age of the finds and the number, amazed me! 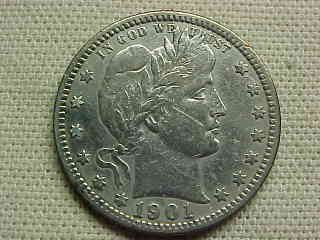 The 1895 Barber dime had considerale numismatic value. 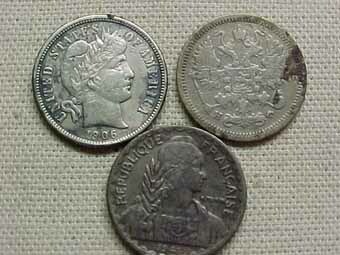 October 2, 1976, my second trip, I found a few coins, but what coins, all were nice! My second trip I detected about 2 hours, and found: 1946-D dime, 1959-D dime, 1964 dime, 1964-D penny, 1956-D penny, 1949-D nickel, a corroided Indian head cent, a second amusement token (28848), a 1912 Mexico 1 centavo coin, and the jewel of the day, a 1906-O Barber dime! Jump in time, to September 2000. Again, I have hopped on the metal detector band-wagon, and this time, purchased a Fisher CZ-5, which is a discriminator, and has features, that could only have been dreamed of in 1976. It gives a different sound and meter reading for iron, trash, and coins (three different tones, low, mid and high, correspond to iron, trash and coins). Problem is, no metal detector is 100% accurate on the meter or sound, and some gold and silver rings, and coins may read as trash, or even iron. Thus it is up to the detector used to make the call on what to dig. I did try to use one of the new LCD readout detectors, made by Garrett, and found that an old dog like me, couldn't take his eyes off the LCD readout. I needed to be looking at the ground and LISTEN for the sounds, to determine 'hits". The CZ-5 seems to fit the bill for me, as I can watch the ground, and if the detector sounds off, I can then check the meter for what the reading the detector gives, and decide if I want to dig or not. Another nice feature of this detector is the AUTO-TUNE mode, which basically turns the detector into a non-discriminator, makes it detect deeper (I think), and gives the same sound for all hits. This feature, could be very, VERY helpful, when searching areas that were inhabited a hundred years ago, and have had no activity since, or sites in deep woods, on the high plains, or any site that you want to dig every target! Tokens are rare to find with a metal detector, if my experiences are the rule. I suspect, that other areas of the country have a higher rate of tokens-per-coin ratio, but in north central Texas, token usage was low, thus the number of tokens found is low. 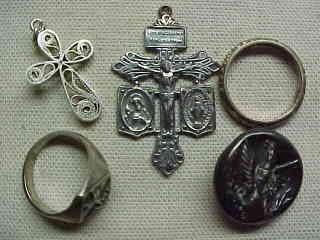 Condition of tokens found with metal detectors vary, depending on soil condition, and moisture. Brass tokens generall seem to survive better in the soil, and many of my token purchases over the past 25 years have been brass tokens, dug with metal detectors. Some of these tokens are worth a few cents, and some worth hundreds of dollars. Token collecting, and metal detecting, are two hobbies, that seem to be tied together, for better or worse, as most good token collectors know that metal detector hobbyists are a great source of new and exciting trade tokens!